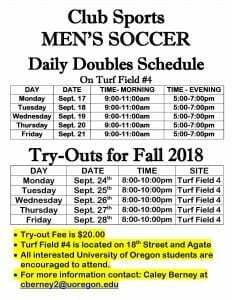 Daily Doubles are training sessions held the week before tryouts to allow players interested in trying out to get back into shape and work on their game. 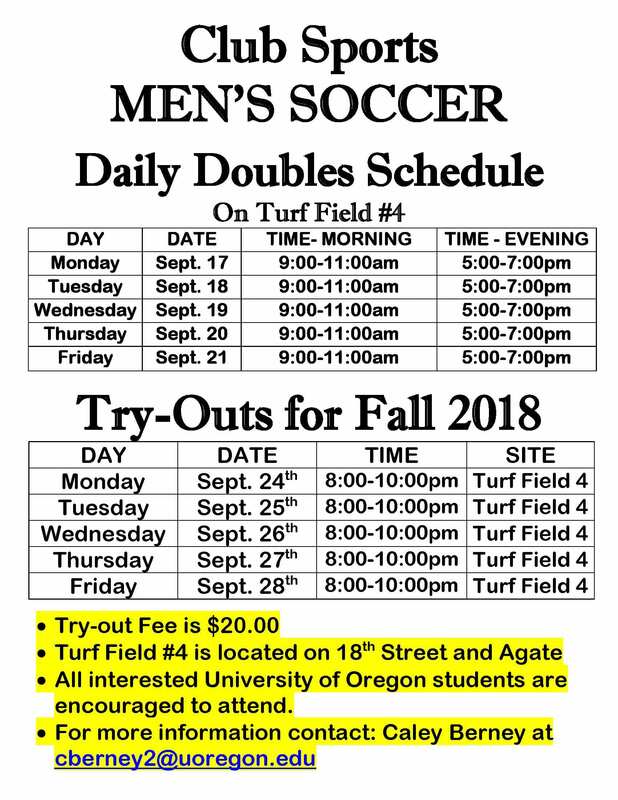 It also gives players the ability to get a feel for what the Men’s Club Soccer team is like and helps them gauge their interest in joining the team. Daily Doubles are not mandatory for players to make the team but are recommended to help players get in shape ahead of tryouts.